The Spotify app has popped up on the Play Store for some Indian users and the company has also created a dedicated section for “Desi” Indian music. Spotify is beta testing a Lite version of its app as well. Spotify is arguably one of the best online music streaming services that is available in many countries, except India. 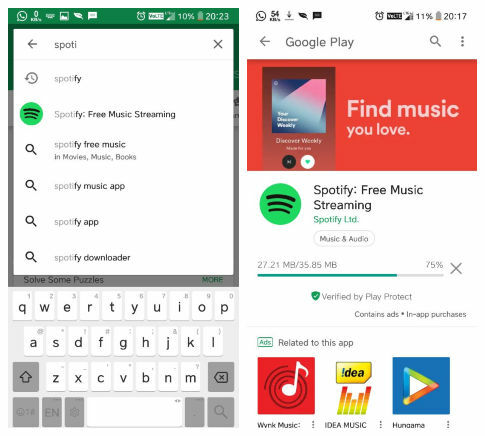 However, Digit has received a tip that the app is showing up for some users on the Google Play Store in India, without using any VPN or changing the region of the store. Our reader @rrmakrand has sent some screenshots as well and it can be seen that the app is being downloaded without any VPN symbol on the status bar. However, it doesn’t allow logging in at the moment and we don't expect it to work till the company makes any official announcements. Digging around on the internet, we also found that Spotify has curated a new India-focussed playlist. Anish Sood, an Indian music producer, songwriter and DJ, revealed the info via an Instagram post. Also, replying to a comment on the post, Sood says that Spotify will be available soon in India. Searching some more, we found the web page where Spotify has hosted a new section called “Desi”, which is dedicated to Indian music. Additionally, the company has also listed a lite version of their app on the Play Store, which is currently unavailable in India. Seeing as Lite versions of full-fledged apps are aimed at users who have low powered devices with data restrictions, Spotify might be testing the waters in India before officially announcing its services. As per some of the reviews, the app comes with barebones functionality and some much-needed features are missing from it like the ability to save songs offline, no shuffle option, and no option for selecting audio streaming quality. So, Spotify suddenly shows up on the Play Store, a well known EDM artist is endorsing the brand coming to India, the company has made a new section dedicated to Indian music, along with a Lite version of its app. All of this seems to be an indication that the streaming service might finally be ready to make headway into India. However, we suggest not to get your hopes too high until there is an official announcement by the company. 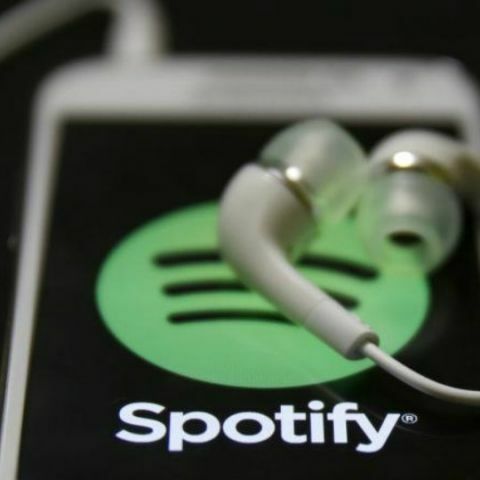 Back in March, Spotify's Co-Founder and CEO, Daniel Ek said, “We are working on launching in some of the biggest markets in the world, including India, Russia, and Africa which has a very rich musical culture.” The Initial Public Offering by the company has already revealed that it has a leased office in Mumbai with over 308 employees in aggregate in India as well as a number of other countries such as Spain, Belgium, Singapore and some others. Even if Spotify launches in India, it will make a late addition to international music services that are already available here like Google Play Music, Apple Music, Amazon Prime Music. There are also local platforms like Saavn, Gaana, JioMusic and more, which offer a decent audio collection with reasonable quality and at a comparatively lower price. Spotify is sure to face tough competition in India from other audio streaming services and needs to be really competitive in order to enticing Indian users. You can read our comparison test between various music streaming apps like Apple Music, Hungama Music, Saavn, Gaana, Google Play Music, Amazon Prime Music, Wynk, Jio Music and Spotify here.